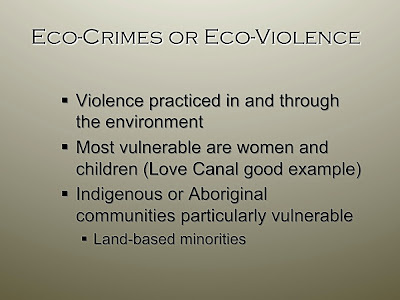 Slide 1: To explore why Environmental Justice is such an important issue with Indigenous peoples and vice versa in much greater detail read the Grijalva Text. 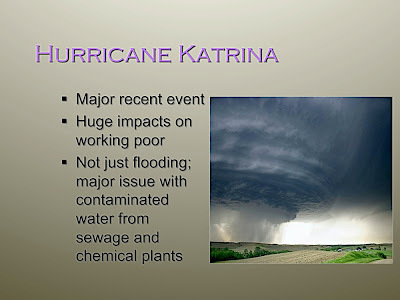 Slide 4: One interesting topic for discussion is why Hurricane Katrina is an important EJ issue, and also its impacts on Indigenous peoples, such as the Houma Tribe. 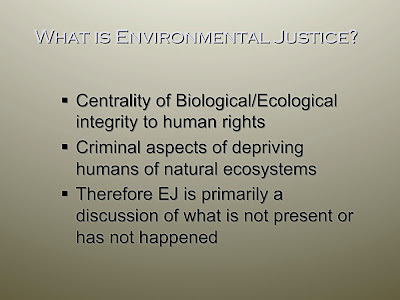 Slide 5: It can be useful to have students discuss the meaning of environmental justice and why it is not called environmental Injustice, which would seem to be a much more accurate term. 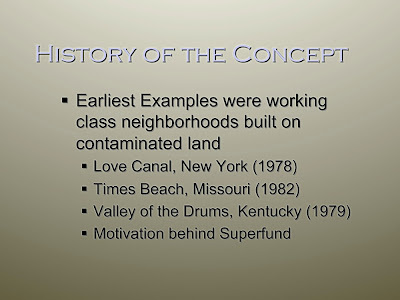 Slide 7: Do Indian reservations constitute Environmental Justice issues solely because of their existence? 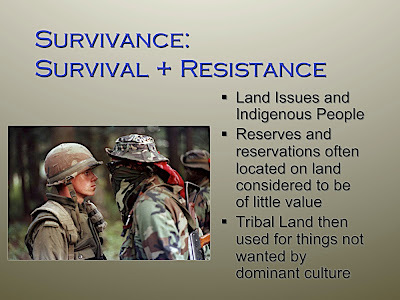 Slide 8: This image is from Oka on the Mohawk reservation in Quebec Canada right near Montreal. Students will find it enlightening to read about Oka, where Mohawk warriors fought against having a golf course built on what they considered to be tribal land. 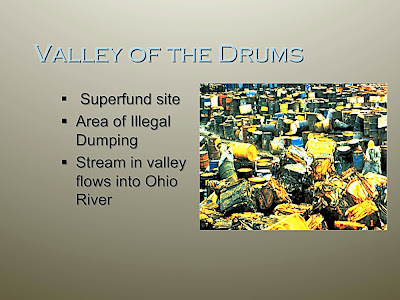 In more recent years similar struggles have arisen over construction of housing developments on traditional Mohawk land. 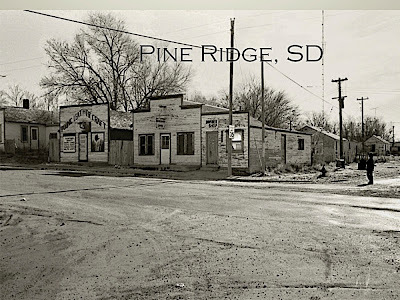 These are serious issues, and are comparable in some ways to ethnic struggles in the Balkans. 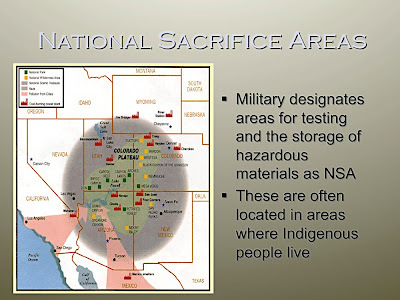 Slide 9: One of the most important issues is the designation of National Sacrifice Areas, where Indian lands and reservations are used for military bombing tests, storage of toxic wastes, and subjected to heavy pollution of both water and air that would not be tolerated in urban or suburban communities. 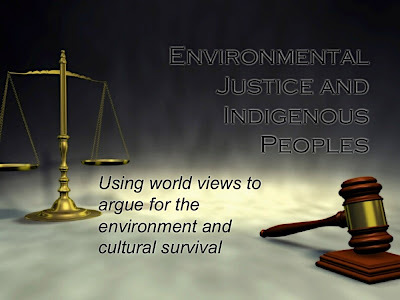 This relates to the question posed above, about whether the location of Indian reservations constitute Environmental Justice issues solely because of their existence?